The Studio Rockers imprint closes out 2015 with a remix package of Marcel Luneâ€™s debut L.P, featuring reworks from PNFA, Hi-Ryze, Bunny On Acid and a new exclusive tracks from Marcel himself. Tony Thorpeâ€™s Studio Rockers rounds off yet another successful year thatâ€™s seen releases from EVM128, Bunny Of Acid, Redpine & Solo and of course, Marcel Lune who returns here. Following on from the success of his debut L.P â€˜Sounds From The Desert Gullyâ€™ which saw the fledgling young artist pick up support from the likes of Shadow Child, Moxie, Kruder & Dorfmeister, Huxley, Laurent Garnier and Fish Go Deep. This time round itâ€™s a remix package of Marcelâ€™s inaugural album, however Marcel opens up proceedings with a fresh composition in the shape of â€˜Templesâ€™, a soul laden record employing bright piano chords and an amalgamation of 80â€™s tinged synth lines all spun with a modern aesthetic via penetrating sub bass drones, vocal chops and a contemporary rhythmic swing. Following is Bavarian producer PNFAâ€™s remix of â€˜Gully Stateâ€™ which lays the focus on crunchy distorted rhythms while intricately processing snippets of the original cuts synthesized elements to flourish around them. The UKâ€™s Hi-Ryze reworks â€˜Nookulaâ€™ next, upping the energy level slightly with a pacey rhythmic drive, while snaking stab sequences, glitched out synth whirrs and airy atmospherics smoothly develop over its near eight-minute duration. Jerusalem born and based artist Bunny On Acid then rounds off the package with his take on â€˜Voyagerâ€™, bringing broken rhythms, dubby synth lines and ethereal pads into the limelight. 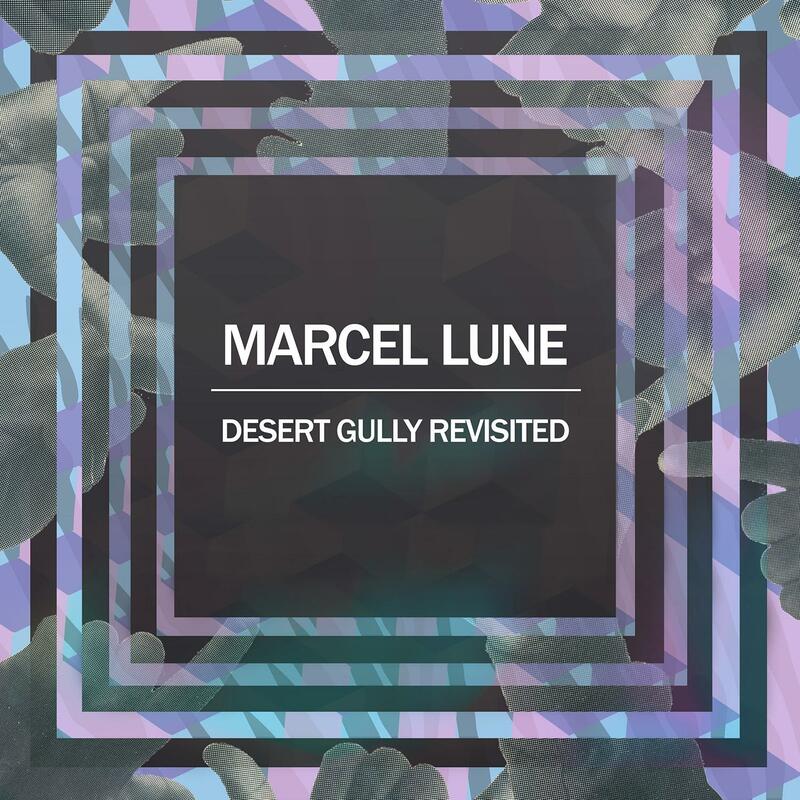 The Marcel Lune â€˜Desert Gully Revisitedâ€™ package is out on Studio Rockers 11th December 2015. Written & Produced by Marcel Lune at Loco Dooms Studio. Remix & Additional Production on 2. by PNFA at PNFA Studios, 3. by Hi-Ryze at Dave's Pad, 4. by Bunny On Acid at Holy Dubs Studio.